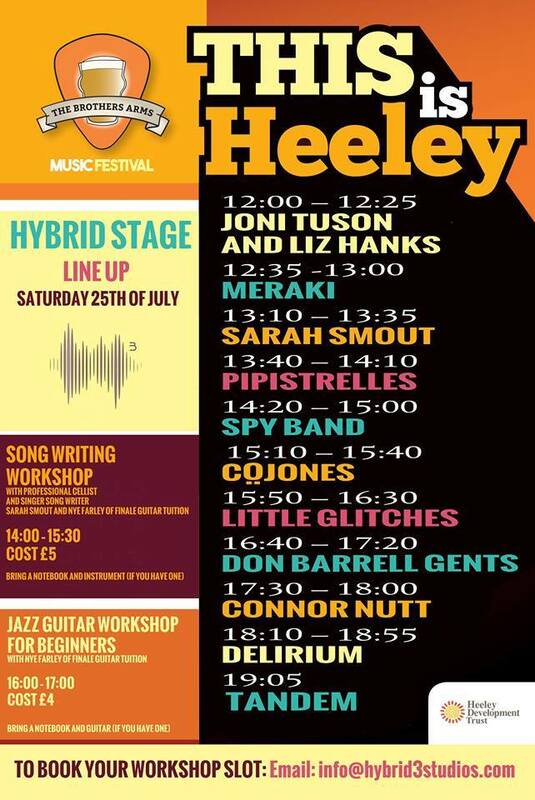 This is Heeley Music Festival, 24th – 26th July @ The Brothers Arms / Heeley People’s Park | IT'S HAPPENING IN HEELEY! 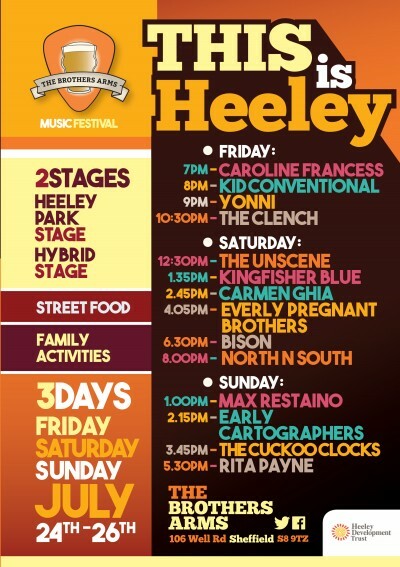 This is Heeley takes over Heeley People’s Park and The Brothers Arms this weekend for a FREE music festival. 60+ cask ales, food vendors and 2 stages full of fantastic live music will be taking place throughout Saturday with more in the pub on Friday evening and all day Sunday. There is also a programme of family activities on the park including art and circus skills workshops, a mini sports day, treasure hunt and toddler inflatable’s. Live music starts at 7pm at The Brothers Arms on Friday and continues on Heeley People’s Park from 12.30pm on Saturday.